Your visa application will be processed by the German Diplomatic mission whose consular authority covers the residence location that you are working, studying or living in. The entry in the Hukou book is not decisive. 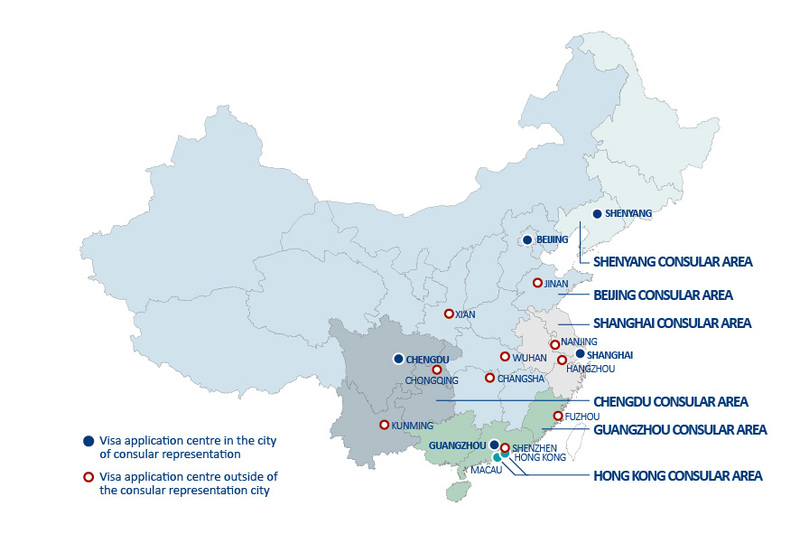 The German visa application centres are represented in 15 cities. You can submit your visa application comfortably in any visa application centre within your consular authority. Please choose the location of your visa application centre. You will find more information about the visa application process on the following pages.